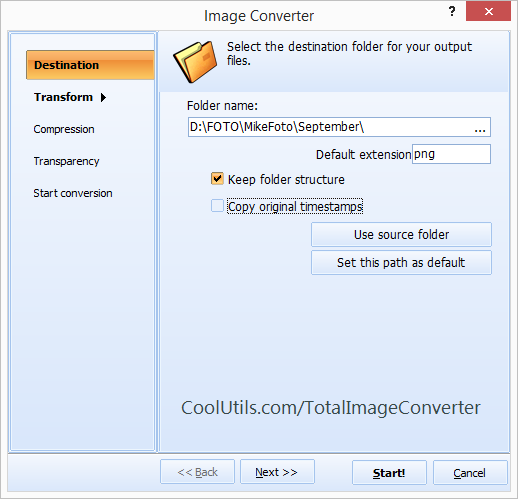 You are here: CoolUtils > Total Image Converter > How to convert RAW Photos to JPEG2000 in batch? 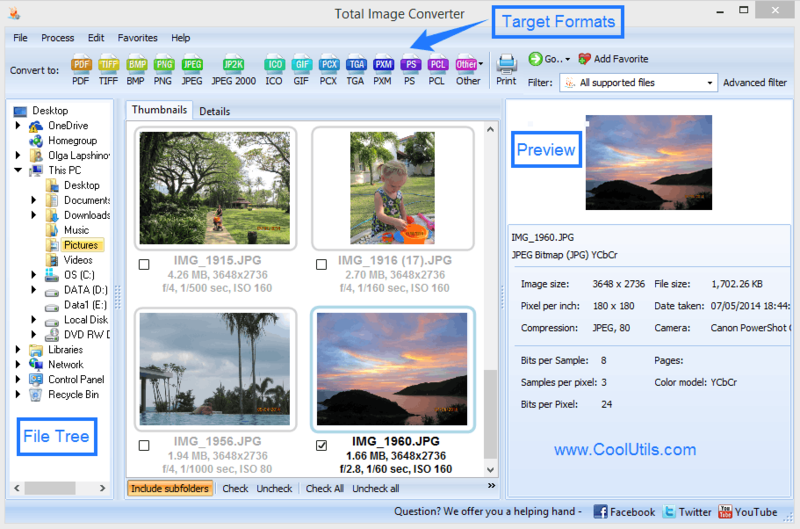 The Total RAW to JPEG 2000 Converter is an exciting new app designed to help you convert your RAW images into JPEG 2000 files. Like film style cameras, many of today’s digital cameras produce a set of negatives; digital negatives that must then be converted from RAW into a more accessible digital image format. Because nearly everything is accessed and stored online these days, the relative quality of your digital imagery makes a big difference when it comes to determining the performance of your online content. That’s where JPEG 2000 steps in. And so much more! 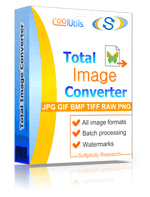 By using our Total RAW to JPEG 2000 Converter you will not only be making your RAW image files usable, you’ll be increasing their editability and scalability; widely enhancing the options available to you when it comes time to decide where and how to put them to good use.